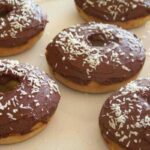 Want to enjoy the flavor of warm apple fritters without all the carbs? 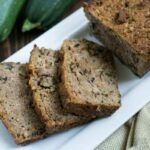 This gluten free zucchini mock apple fritter bread uses zucchini to keep it low carb. Disclaimer: All the Sukrin products used were purchased by me and all opinions are my own. However, the giveaway is sponsored by Sukrin USA. 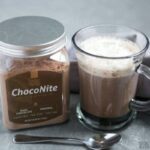 There is a great new sweetener available in the US that comes from Europe and it’s going to allow certain homemade sweets to be possible again. 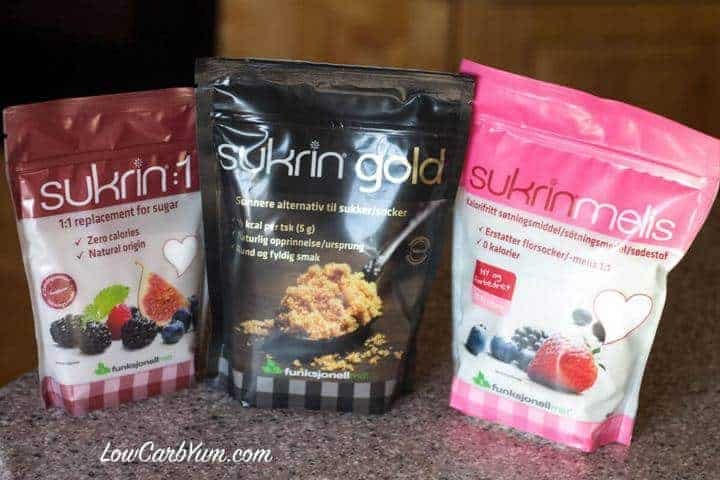 I’m talking about the Sukrin line of sweeteners which includes two great syrup sweeteners. One is a clear fiber syrup that can be used similar to corn syrup. 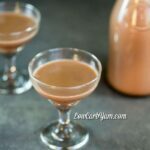 The other is a dark syrup that is the perfect substitute for honey and molasses. I’ll be providing a review of the syrups in future posts. 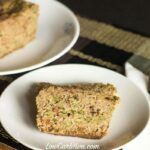 This low carb gluten free zucchini apple fritter bread recipe used three of the Sukrin powder/granular sweeteners. All three of these natural origin sweeteners are fabulous as well as non-GMO! You may be wondering where you can buy these products. Unfortunately, it may be a while before they are available locally unless you request your store to carry them. I’ve never been completely sold on Swerve. But, I would buy it because my local grocery store carries it and I can usually grab it if I’m running low. However, Swerve has become so popular at that store that it’s often sold out. That’s why I’m so happy that I found this great collection of sweeteners at SukrinUSA.com and the prices are much lower than the local store sells comparable products. 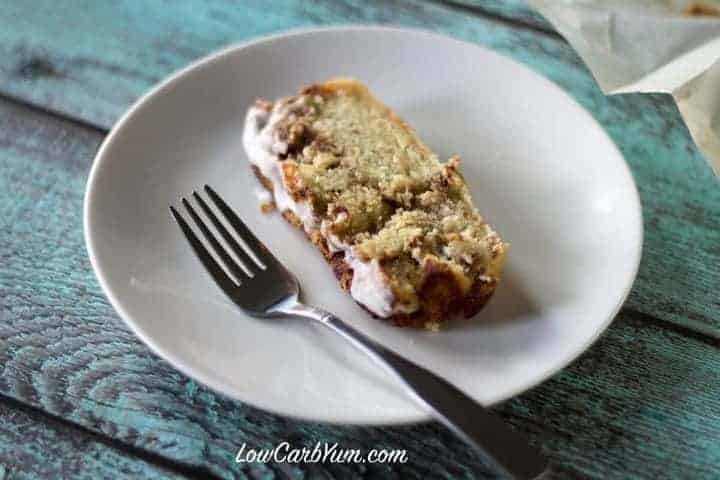 I made this low carb apple fritter bread using the Sukrin Gold, Sukrin:1, and the Sukrin Melis which is a powdered sweetener that replaces confectioner sugar. 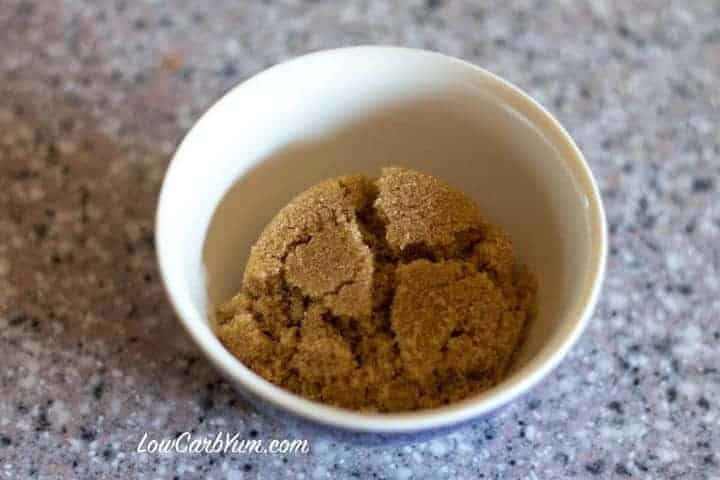 The Sukrin Gold is amazing because it looks and feels just like REAL brown sugar. 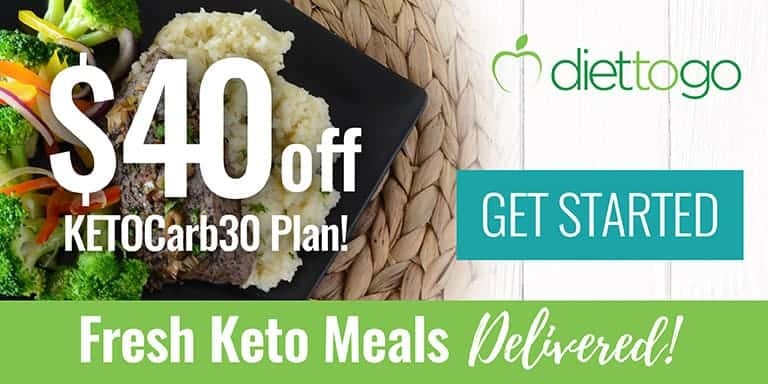 I’m not sure how they did it, but the ingredients are listed as Natural sweetener erythritol (polyol), tagatose, glycerol, malt extract (gluten-free) and steviol glycosides. I used one of the last zucchini we got off our plant before it stopped producing. It was a little larger than medium size. 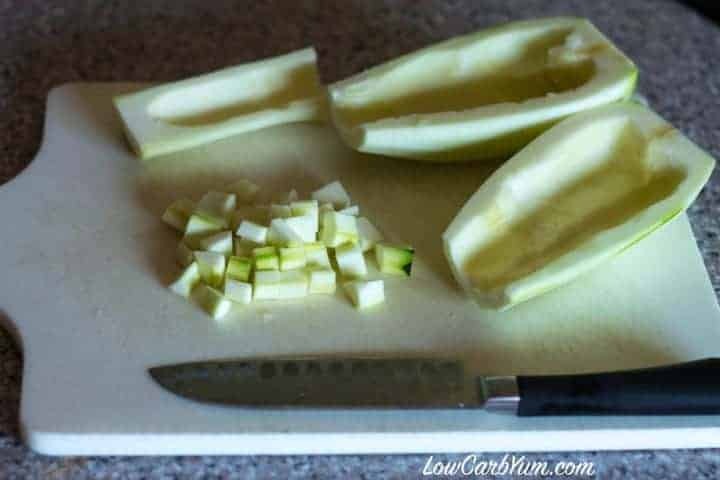 You probably can use another similar vegetable like chayote in place of the zucchini. It just needs to have very little taste and be similar in color to an apple. I tried the recipe without xanthan gum and the bread does crumble a bit more than if you add it into the batter. I haven’t used guar gum in a while, but it should be a suitable replacement for the xanthan gum. Or, just leave it out. 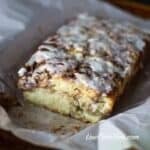 I made this apple fritter bread similar to my low carb cinnamon swirl bread by assembling in layers. 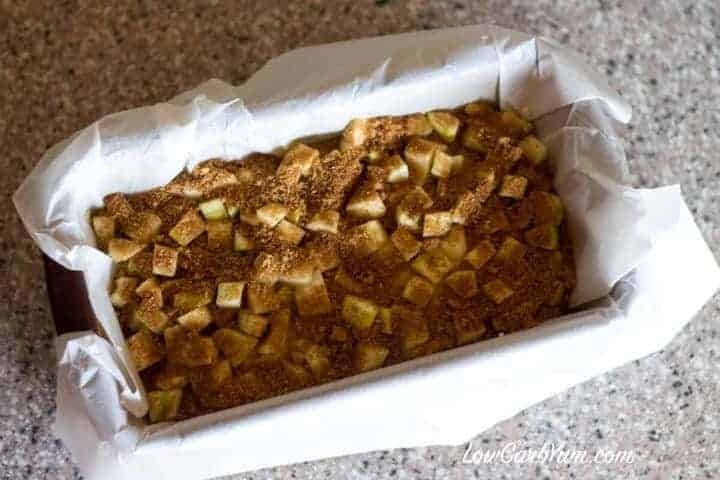 The first layer is the batter, then the chopped zucchini, then half the cinnamon sweetener mix. 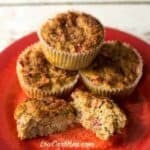 The layers are then repeated so there’s a zucchini layer on top sprinkled with the cinnamon mix. The zucchini pieces need to be pressed into the batter so they won’t start falling off after baking. I did run a knife through and tried to swirl the zucchini and cinnamon into the batter. The bread baked up nice and golden in the oven. 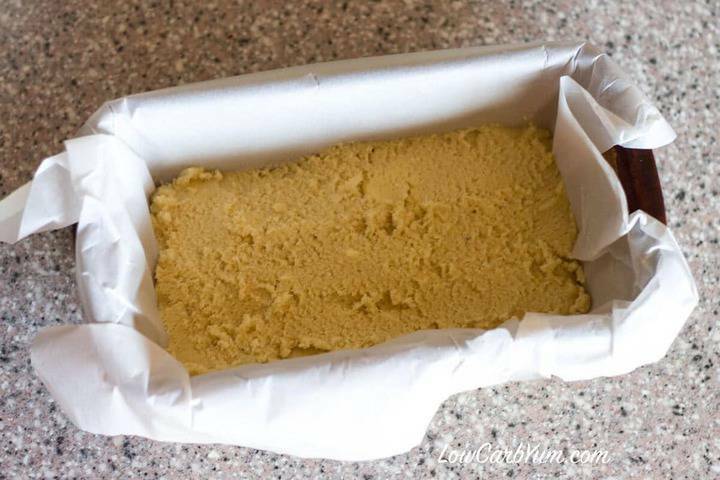 I did line the bread pan with parchment paper so it was a breeze to lift out of the pan. 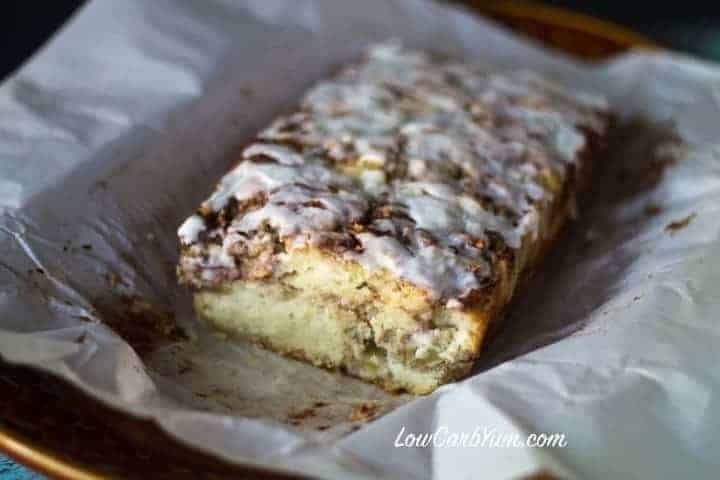 I let the apple fritter bread cool for several minutes and then drizzled a mix of the powdered Sukrin and heavy cream on top. It kind of looks and tastes like a danish. 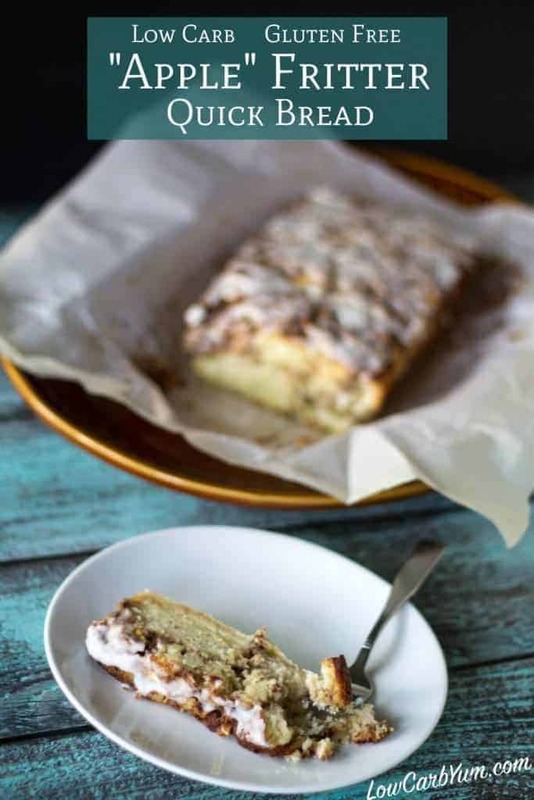 I found it best to eat this warm, shortly after baking. However, the leftovers out of the refrigerator are also super yummy! 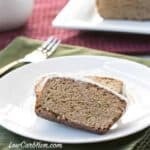 This low carb sweet bread is a nice change from the traditional zucchini bread. 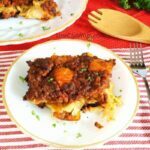 It’s also a great way to enjoy the flavor of apples without all the carbs! 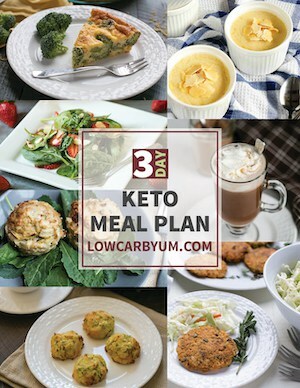 Want to enjoy the flavor of warm apple fritters without all the carbs? 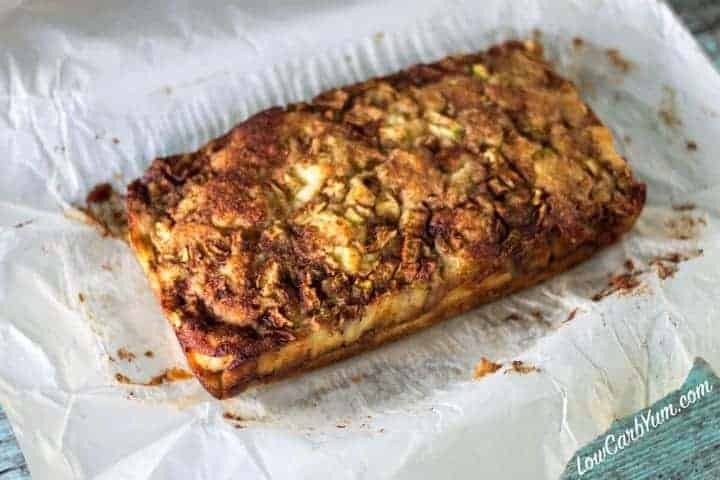 This gluten free mock apple bread uses zucchini to keep it low carb. Preheat oven to 350°F. 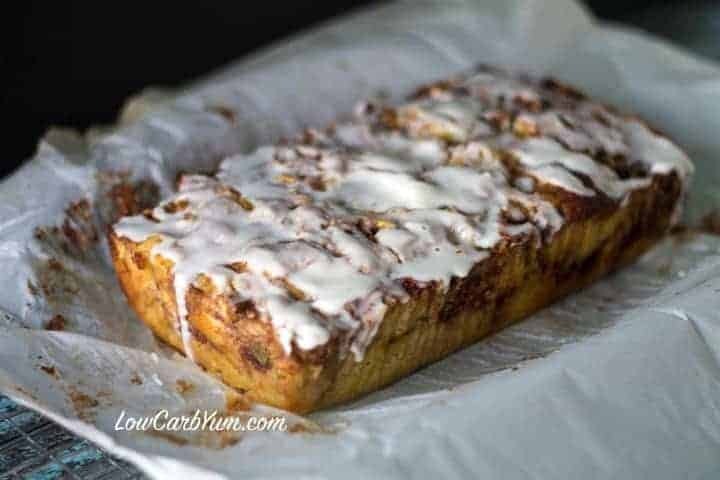 Use a 9x5-inch loaf pan and spray with non-stick spray or line with parchment paper. Mix Sukrin Gold and cinnamon together in a bowl. Set aside. 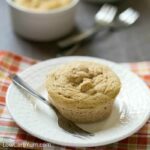 In another medium-sized bowl, beat white granular sweetener and butter together using an electric mixer until smooth and creamy. Beat in eggs, 1 at a time, until blended in; add in apple extract extract. Combine and sift together flours and baking powder in medium bowl. Add dry mix into creamed butter mixture and stir until blended. 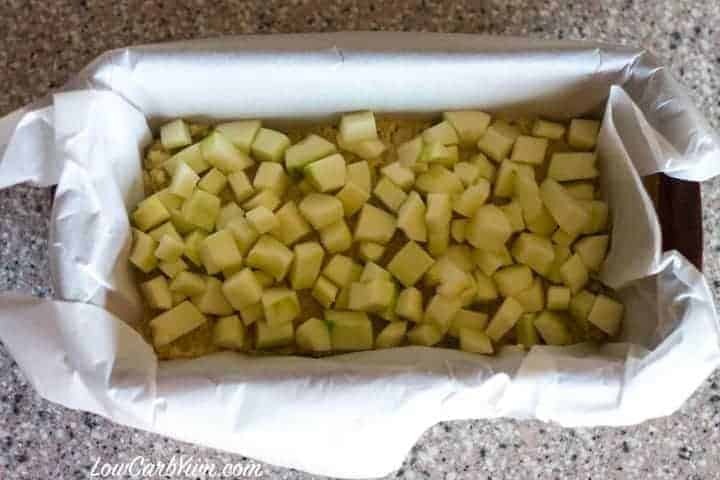 Spread half the batter into the prepared loaf pan; add half the zucchini, then half the Sukrin Gold/cinnamon mixture. 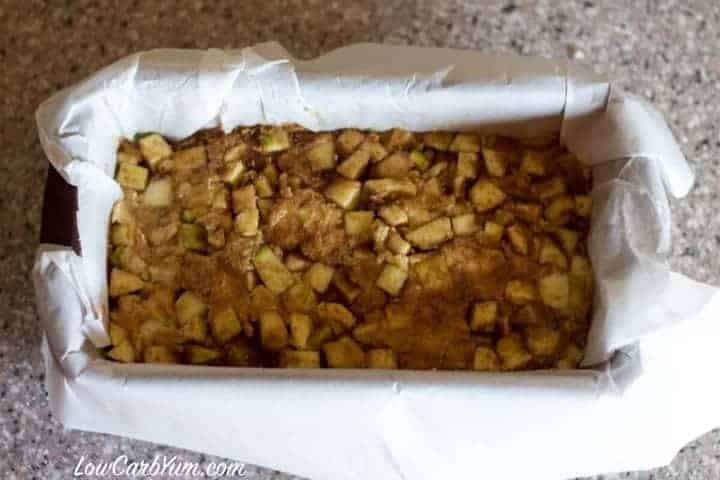 Spread the remaining batter over apple layer and top with remaining apple mixture, then the remaining brown sugar/cinnamon mixture. 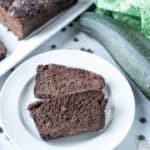 Bake in the preheated oven until a toothpick inserted in the center of the loaf comes out clean, approximately 1 hour to 1 hour 10 minutes. To make glaze, mix powdered sweetener and cream together until well mixed.